Two years ago Amazon depicted the future of shopping using just a simple mobile app that would enable consumers to skip checkout and lines. The Amazon Go app was launched back in 2016, but it had no use without a physical store to benefit from its features. Amazon promised that the first stores with no cashiers or checkout lines would be opened in 2017 in Seattle and Washington. Today, the company announced the first Amazon Go convenience store will open on January 22 in Seattle. 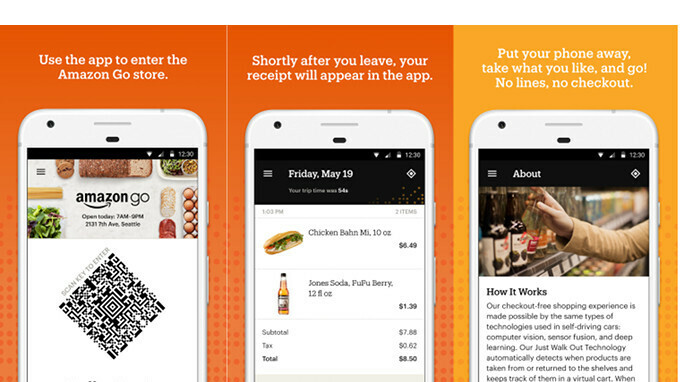 To make things much easier for those who want to shop at Amazon Go, the US giant is now making the Android app available in the Google Play Store. Having the Amazon Go app installed on your smartphone is mandatory if you want to shop at Amazon Go. The Amazon Go app can be used to shop and browse, but when you're done, you can just leave the store with your groceries. You will be sent the receipt and your Amazon account will be charged soon afterward. Make sure you sign in before visiting the Amazon Go store in Seattle though.